What do Ballet, Yoga, Modern Dancing and Lindy Hop have in common? We were able to try to answer it during the workshop we organized for Big Kick a couple of weeks ago with Abby Crain. It was a small workshop because we didn´t know how it would work. It was going to be something new. As fas as we know, nobody has organized anything like this in Spain before: trying to mix techniques and trying to find the roots of the dancing within a workshop designed for lindy hoppers. As a result, we had a nice opportunity to explore the common dancing origins: body control and perseverance. Many thanks to Abby and Poise for the meticulous design of the class. We hope everybody enjoyed it as much as we did (we were students this time). The class started with some warming up and stretching, by using yoga and ballet techniques. Yoga “Sun Salutations” are a great way to stretch and warm up before dancing. After that, we tried to find our body center of gravity. For lindy hoppers it is lower than for ballet dancers. Being conscious of our centre of gravity is really important in order to control our balance during the turns, for instance. The last part of the workshop was the most enjoyable. However, there was almost no time. We did exercices to let our body go, to improvise with different rhythms and to dissociate our body. We warmed up during the last week by using dance music and body dissociation. It was really fun!! 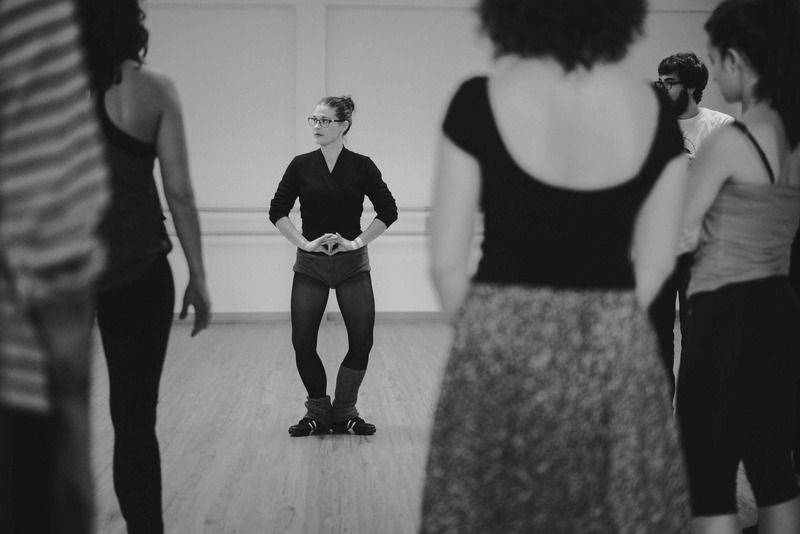 Ballet, modern dance, lindy hop, tango, blues, salsa… All the dances have something in common, how they can make you connect with your body and how they make you feel alive. If dancing didn´t exist, we would have to invent it!! !